Veterans have been awarded pension from the government throughout the nation’s history. The first such legislation was approved by Congress in 1792. Several of the original states assumed that they had no specified western boundary. They appropriated some of these western areas to Revolutionary War veterans. An area of northeast Ohio is still known as the Western Reserve because the state of Connecticut awarded land there to veterans. President Washington eventually convinced the original states to relinquish their claims to land far to the west of the Alleghenies, settling the matter of the western boundaries of the original states. The wars that the United States conducted against the Barbary pirates in the 1790s, against the British in 1812 and against Mexico in the late 1840s involved relatively few soldiers so the veterans of those wars never became organized voting blocks. The Civil War was extremely different since a significant fraction of young men in the North served to defend the Union. Shortly after the fighting ended, a variety of organizations of veterans sprung up and encouraged both the remembrance of the sacrifices of the Union Army and various benefits from the government. 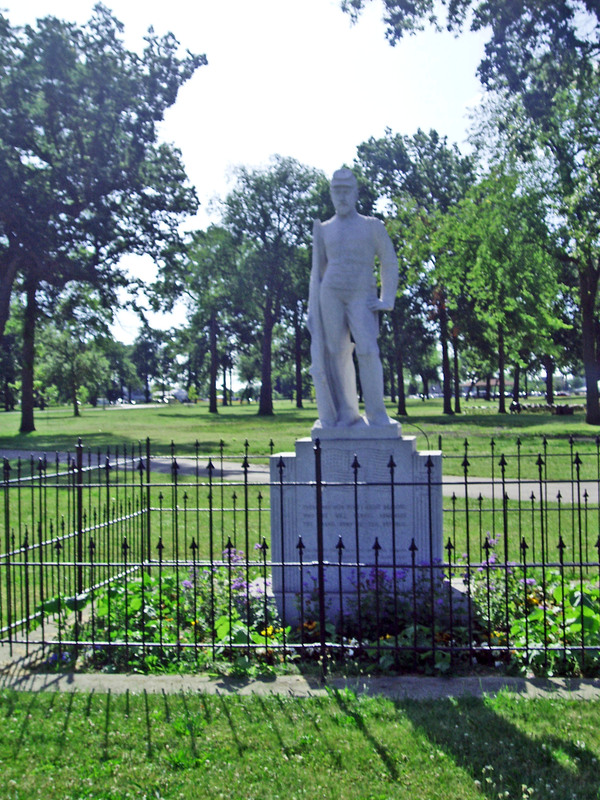 The Grand Army of the Republic (GAR) was founded in Decatur, Illinois in 1866 and, quite rapidly, became the largest and most powerful of the Union Army veterans group. They claim responsibility for having President Grant specify May 30 as Decoration or Memorial Day to honor the Union dead. The GAR chartered numerous chapters in every large and many small settlements in the North. Membership was restricted to those who served in the Union Army during the Civil War. By 1890, they may have had an enrollment of 490,000. Generally, the organization called for their members to support the Republican Party and Republican candidates. Five Republican presidents were members of the GAR. In the later decades of the Nineteenth Century, as the members of the GAR were approaching retirement age they pressured the government to provide generous pensions. Congress, in 1861, established a pension program for Union Army veterans who were disabled because of their service. The GAR, and other organizations, sought to expand the definition of disability and increase the benefits. For several decades after the War, the federal pension was based upon limitations to a veteran’s ability to do physical work. Two questions arose: what was the percent of physical work limiting disability and how much of the limitation was directly the result of an injury suffered while in the Union Army. The GAR provided doctors and lawyers who assisted veterans to obtain the benefits they presumed were rightfully theirs. By the 1880s, they succeeded in getting disabilities to include those that developed after military service but may have been caused by that service. The GAR also successfully convinced Congress to increase the size of pensions and provide support for wives and dependents who suffered from the work-limiting physical disability of Union Army veterans. They won a major breakthrough in 1890, when Congress approved pensions for all disabled or partially disabled Civil War veterans regardless of the origin of the disability. In 1904, President Roosevelt declared that old age in itself was a work limiting disability and that older veterans should get pensions whether or not they were disabled. Congress, in 1907, agreed and began to pay all older Union Army veterans a pension. This established a precedent for the Social Security System that Congress enacted less than three decades later. From time to time, southern Congressmen sought to include Confederate veterans in the federal pension system. They failed but some southern states funded more modest veterans’ benefit programs. The GAR limited membership to men who fought in the Civil War so their ranks thinned in the mid Twentieth Century. They held an annual encampment but the last one was in 1949. The final Union Army veteran died in 1956, some 91 years after General Lee surrendered to General Grant. Only one woman was a member of the GAR. Sarah Emma Edmons from New Brunswick was a strong believer in the Union cause. She “changed” her name to Frank Thompson and enlisted in the Second Michigan Militia and served for two years. She came down with malaria and went AWOL rather than going to a military hospital where she feared her identity would be disclosed. She survived her ailment and wrote a popular book about her experiences that brought her considerable attention. Quite likely a number of other women served in the Union Army. The GAR in the Detroit area pushed the city to erect a building where they might meet. After negotiations, the city agreed to fund the lion’s share of the Richardson Romanesque GAR Building that still stands in downtown Detroit and that, in 2011, was slated to undergo renovation. 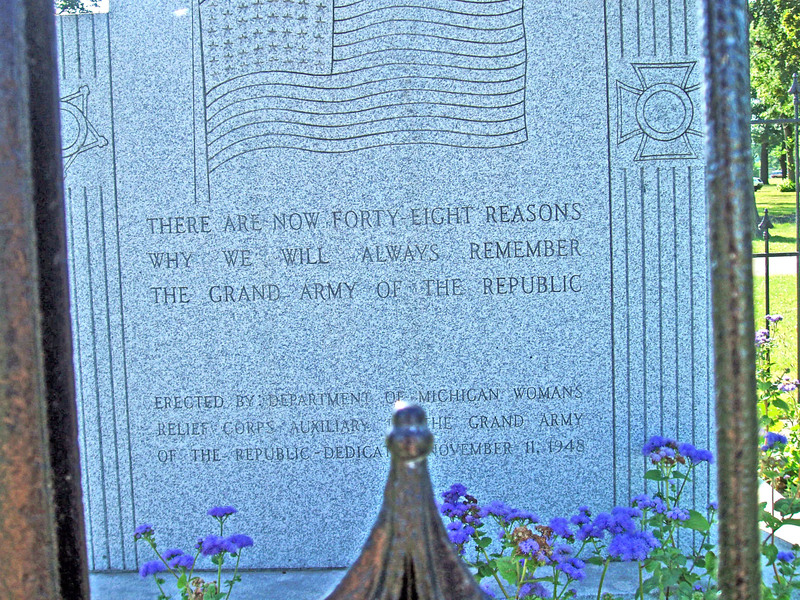 The Belle Isle GAR Memorial was sponsored by the Michigan Women’s Relief Corp Auxiliary of the Grand Army of the Republic and dedicated on Armistice Day 1948.